Nicholas was racing and chain snapped while descending. It flew off while free-wheeling, then got caught up by cassette and started rolling up. Consequently it started grind into frame and on top of it, derailleur snapped off. 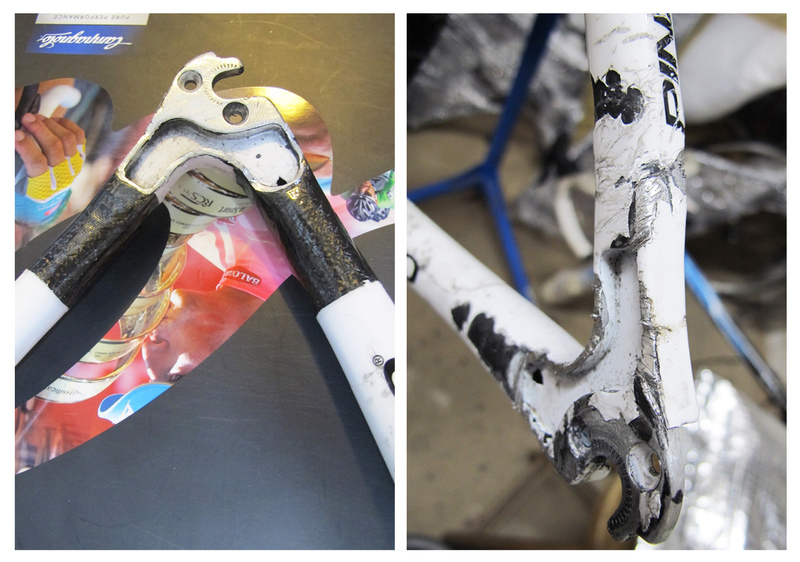 All this drama caused damage at chain stay and seat stay. It’s been repaired and now people talking, that these days, Nicholas is descending with confidence.